Isn't the Qualcomm 845 also the SoC in some of the new WARM laptops? I asked one person that had an older one (ASUS NovaGo - Qualcomm 835), and apparently you can actually disable secure boot on that thing and boot from USB. In other words, it might _actually_ act like a normal laptop. I'd love to have something that is actually a real honest-to-goodness ARM laptop finally. Are we getting at all close to that? The Qualcomm Snapdragon 845 SoC support is merged into Linux 4.18, but quite limited for now and will mature over forthcoming kernel release cycles. 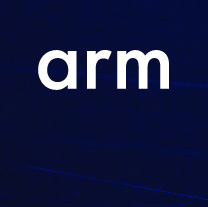 For those that haven't been following the ARM scene, there are some new Windows on ARM laptops on the horizon powered by these new Qualcomm SoCs. Following up to Torvalds' comments, other upstream developers confirmed that the situation is looking bright for soon having a nice ARM Linux laptop experience. One of the big benefits of a Qualcomm-powered laptop is the availability of the Freedreno open-source, reverse-engineered and upstreamed graphics driver stack for allowing these SoCs to make a nice Linux desktop system without having to worry about proprietary drivers, Android-focused graphics blobs, etc. Qualcomm hardware also comes with a native bootloader, beyond the likely ability to disable Secure Boot. It was also brought up that the WCN3990 WiFi chip used by the Snapdragon 845 should be upstreamed via the ATH10K wireless driver with the Linux 4.19 kernel cycle. So it's looking like in a matter of months it might be possible to have a pleasant ARM Linux laptop experience without much troubles while leveraging a mainline Linux kernel and not having to worry about Chrome OS, hacking around a locked down boot experience, or even having to worry much about graphics driver support. Now let's just hope these announced Qualcomm-powered ARM laptops designed for Windows aren't hiding any other limitations and will become widely available. Some of the announced products are quite promising with reports of 15+ hour battery life. These SoCs are also quite powerful unlike the Allwinner SoCs and other low-performance hardware we have seen for past attempted Linux ARM laptops.